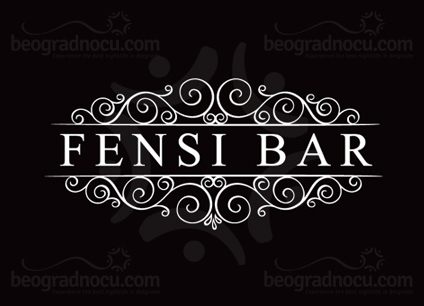 Fensi Bar is newly opened place in Belgrade, located in No 6 Francuska Street (entrance is from Simina Street). The owners’ crew is the same one which already has been providing you with the best taverns places for having fun around Belgrade. The owners of Fensi kafana have decided to complement Belgrade’s night life with one extraordinary place, which is opened every day except Sundays, and where you can relax during the day and have a crazy fun on nights. One of the specificities of the Fensi Bar is that here you can enjoy live music every day from 9 p.m. until 01 a.m., and until 02 a.m. on Fridays and Saturdays. The interior of Fensi Bar is luxury, elegant and sophisticated. The place exudes positive energy and makes you feel pleasant and welcome any time. Fensi Bar works as a cafe and restaurant during the day. It is opened from 9 a.m. so it is an ideal place for you to enjoy in your first perfectly tasty morning coffee, or to stop by and have a long afternoon talks with your dear friends. Beside variety of beverages, Fensi Bar offers something to you which you can t find in any other place in Belgrade. The biggest attraction of the newly opened Fensi Bar is famous Petar Gajić, the founder and vice-president of Serbian Culinary Association, so as one of the judges in the reality-show “Serbian First Chef”, in our very bar prepares for you the best culinary specialties. Fensi Bar has on its menu delicious mediterranean cuisine, prepared and served with high-creativity to satisfy all your senses. You simply must not not to visit this fantastic place and enjoy in unforgettable tastes of Petar Gajic’s cuisine, so as in great night out.